Atlantis. This brand new complex is ready for it's first guests. This unit has never been lived in. One bedroom property with a balcony looking towards one of the many features in this waterworld. 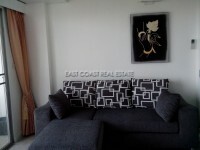 The unit is well furnished with HDTV, European kitchen, sofa, table and chairs, built in wardrobe etc. Atlantis is located on 2nd Road Jomtien, less than 1km from the beach and sea. There is easy access to Pattaya and out to Bangkok from here also. Atlantis is brand new, and as the name suggests, is based on a water theme. There are waterfalls with hidden Jacuzzi's, a ship, bridges, and the biggest swimming pool in Jomtien. There's even a great play area for children. 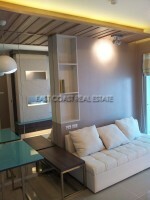 Available for rent at 17,000 Baht per month for 6 months or 15,000 Baht per month for 12 months contract.